How post house Filmgate used Digital Vision’s Nucoda Film Master to seamlessly incorporate 35mm stock footage of an avalanche into an acclaimed Swedish digital feature film. 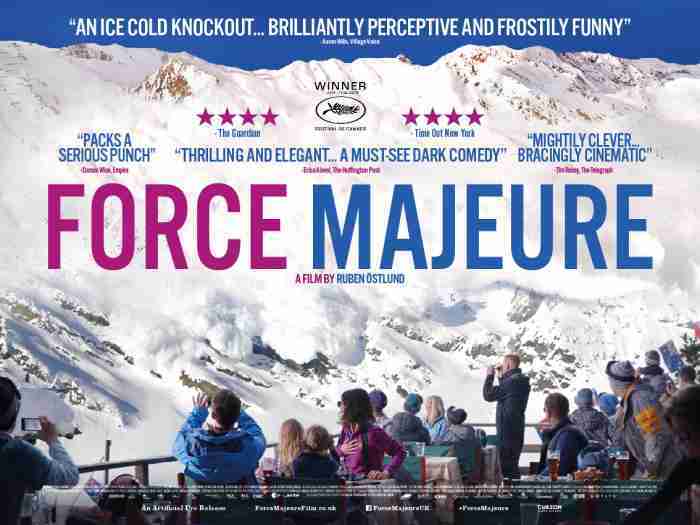 Force Majeure (also known as Turist) is an observational comedy about the role of the male in modern domestic life. Written and directed by Sweden’s Ruben Östlund, the feature film documents a trail of familial destruction that occurs on a skiing holiday, following a father’s less-than-paternal reaction to an impending state of emergency that never materialises. Unfortunate not to be nominated for an Oscar, Force Majeure picked up the Un Certain Regard Jury Prize at the 2014 Cannes Film Festival, won best film and best director at Sweden’s Guldbaggegalan movie awards, was nominated in the best foreign language film category at the Golden Globes, and received swathes of complimentary reviews from the international press. The success of the film is, of course, down to a clever story and the craftsmanship of the writer/director and his highly skilled team, but it could not have been achieved without a dash of post-production magic during its central scene. While certainly no disaster movie, the film’s narrative pivots on a terrifying avalanche at a ski resort. The almost five-minute long scene required technical and creative ingenuity to get absolutely right. With the rest of the film shot digitally using the ARRI ALEXA, the filmmakers had originally planned to shoot a real avalanche to composite into the story. However, an equally suitable reel of stock footage – somewhat less dangerous and difficult to acquire – was found of an avalanche that was considered a better option. The only problem was that it was originated on 35mm film and the available scanned version was only in HD. The task therefore became how to incorporate a film-shot avalanche seamlessly into a high-resolution digitally acquired movie? The company given this challenge was Filmgate, a high-end post-production house with a creative studio located in Järntorget, Gothenburg, that provides VFX, compositing, 3D, matte painting, storyboarding, on-set supervision and pre-viz services. Inaugurated in 2006 the company has provided shots for more than 85 feature films in eleven different countries. As well as providing on-set supervision for this and all the other VFX shots they completed in Force Majeure, the Filmgate team were tasked with scanning, cleaning, compositing and seamlessly blending 7000 frames of footage to create the avalanche scene. Once the compositing was complete, Blomdahl added a slight DVO Regrain to dirty things up. For delivery, the shot was rescaled to a 2K 1:1 pixel format. This was in turn rendered out to a ProRes 4:4:4:4 Quicktime file for use in the grade. The final result is a show-stealing scene that sets the tone for the rest of the movie and throws the narrative off on its desired course. For Blomdahl the Nucoda was the obvious tool for this job, and others like it. 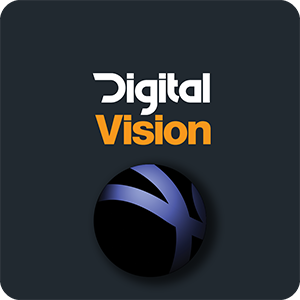 “For restoration work on film, nothing comes close to the results I can achieve with the DVO tools from Digital Vision, for colour grading, Nucoda’s strength is that it has a really straightforward panel-driven user interface with no need to fiddle around with a node tree, I love it in a compositor, but not in a colour corrector.” he says.